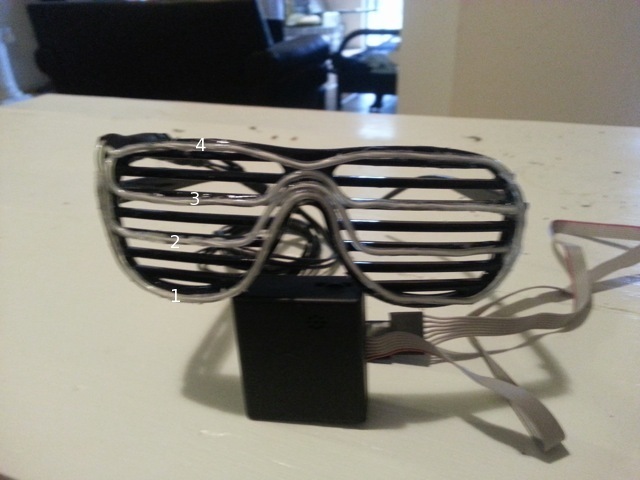 The design of the sound activated EL wire glasses is as follows. The glasses have four individual EL wire segments. The segments are labeled 1-4 in the image, below. The lights are lit up in order from the bottom most to the top most. The lights are individually controlled by the VU meter EL visualizer.